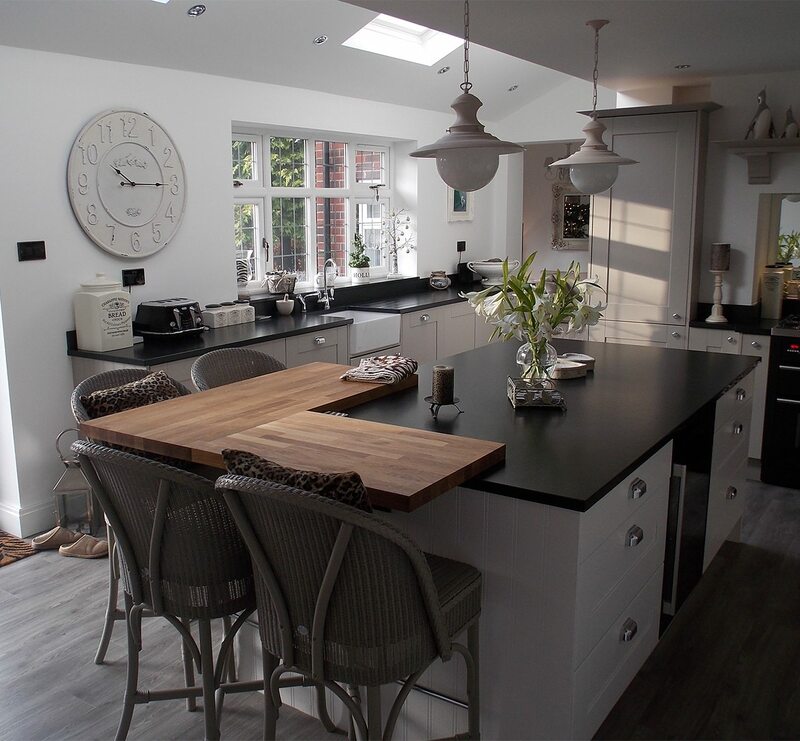 After 12 years with the same kitchen, Christine and Malcolm were more than ready for a change. 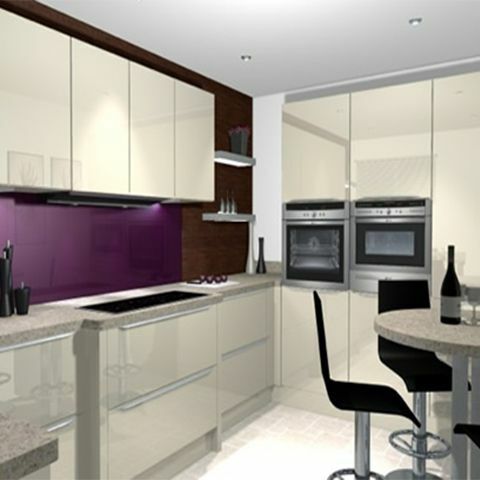 Having considered a number of kitchen specialists, it was Kitchen Design Centre’s honest, professional approach that won them over. When Christine’s sister relocated to the Lakes, she and her husband Malcolm leapt at the chance to buy her beautiful Saddleworth bungalow. Set in a peaceful cul-de-sac, it’s a world away from their former home, whose front door opened directly on to a busy street. Now, with a garden, and a conservatory that looks out over the local countryside, Christine and Malcolm can enjoy the quiet life – socialising with friends, spending time with their grown-up son and just settling down with a good book and a cup of tea. “When we moved in, we left the kitchen as it was. It was really good quality, so we didn’t see a reason to change it. As the years went by, we updated the rest of the house room by room, leaving the kitchen until last. “We’d been and looked at lots of places, and we narrowed it down to three. What actually tipped it in Kitchen Design Centre’s favour was the fact that our designer, Suzanne, wouldn’t go along with our idea of having a peninsula. Christine and Malcolm tasked Suzanne with creating a kitchen that would make life easier – quick to clean, safe to use and with plenty of storage. 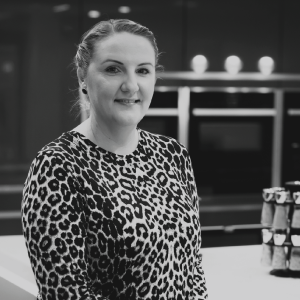 Suzanne rose to the challenge, incorporating lots of pull-out storage into the design rather than traditional base units so that cookware can be neatly tucked away when not in use. Cupboard fronts in Neo Shiny Magnolia from the Hacker range reflect light in the relatively compact space, their easy-clean finish helping to brighten the room, while long-line stainless steel handles offer ease of use and a modern, clean feel. 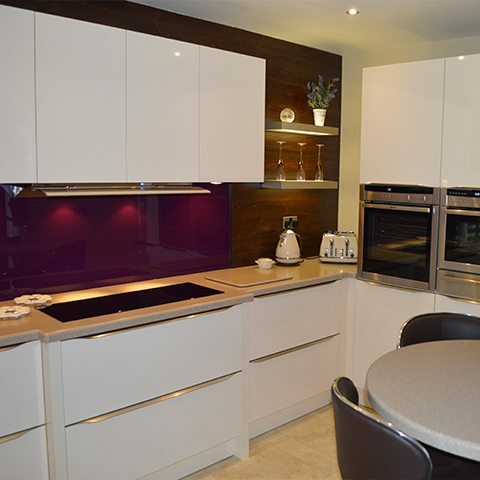 A glass splash-back in vibrant aubergine adds a bold touch of colour while its smooth, hard-wearing surface needs nothing more than a quick wipe-down to get it sparkling again; warm wood-effect panelling provides a stunning contrast. The circular breakfast bar maintains the flow of space, while the edges of the work-tops have been rounded off to make the kitchen safer for Christine and Malcolm’s son, who has epilepsy. A selection of Neff appliances combine practicality and safety: an induction hob featuring four rings in a line means less reaching, while an eye-level oven with an ergonomic sliding door minimises Christine’s chances of burning herself, and rules out the danger of tripping. The microwave and warming drawer, also at eye level, reduce the need for bending and lifting, meaning that the kitchen will remain practical and user-friendly for Christine and Malcolm as they get older. Smooth Corian counters in Sandstone embrace a neat moulded sink, complete with an Abode Fliq Monoblock Tap in Chrome, with little switches for hot and cold water flow. A slim-line 45cm Neff dishwasher fits neatly under the counter between plentiful soft-close drawer units, while a built-under three-drawer freezer, and a separate 70/30 split fridge-freezer, provide ample space for food. Box light shelves illuminate above and below, giving a warm glow but still with plenty of visibility. Discreet LED lights fitted under the wall units provide an extra level of brightness when desired, allowing Christine and Malcolm to change the mood of the room as they like. “Suzanne was brilliant – always available when we needed to chat, and so nice to speak to. Conversations were always very much a two-way thing so we felt involved all the way along. 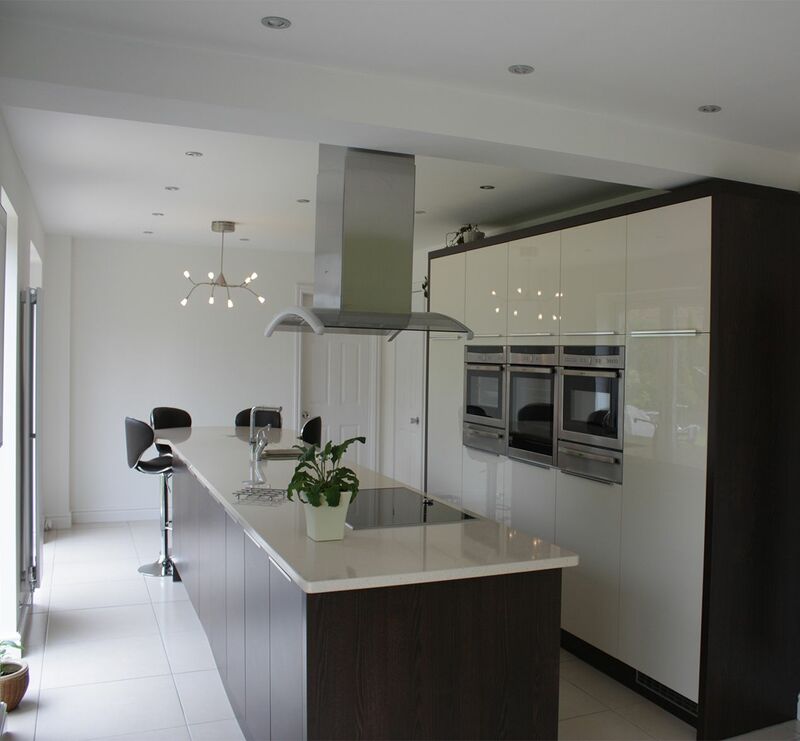 “One of the things I really appreciated about Kitchen Design Centre is that they never looked down on us because we’ve got quite a small kitchen. In some places, we really got the impression that we weren’t very important to them because we perhaps weren’t the biggest clients they’d got. 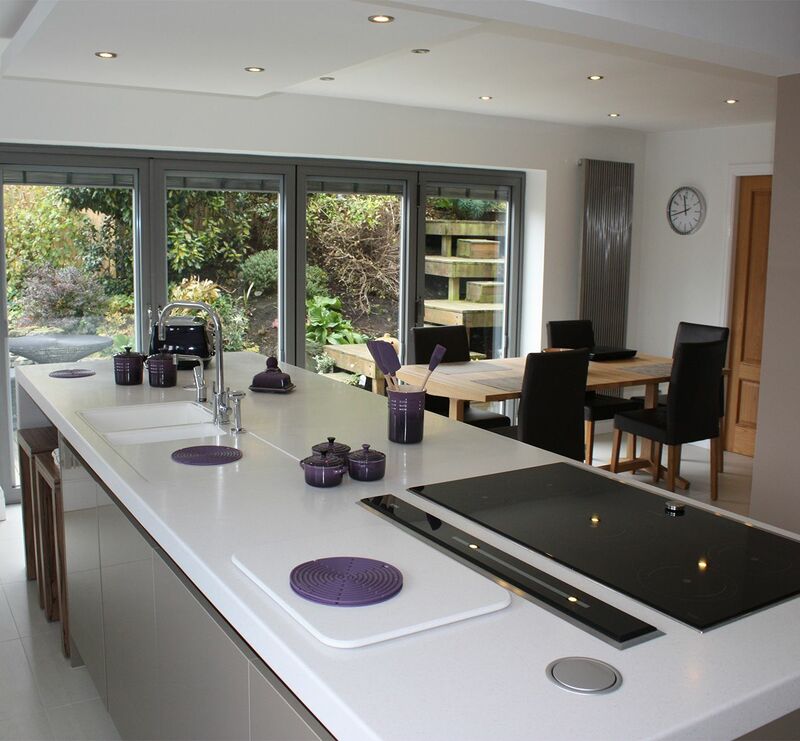 "It’s such a beautiful kitchen – everything’s so smooth and rounded that I can’t help stroking it every time I walk through!" "When I first spoke to Christine and Malcolm, they had their heart set on a design that incorporated a peninsula bar. But when I went to view their kitchen space, I could see immediately that it wouldn’t work." "I drew up some designs that included a breakfast bar to make use of that open floor space without cutting off the flow of the room. We blocked up one of the doors for extra space, and the kitchen has turned out beautifully. 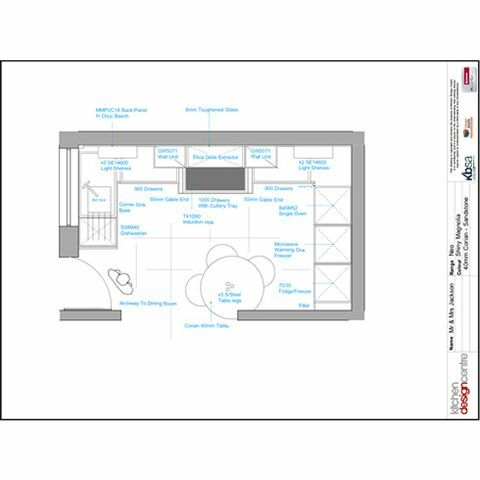 It’s a lovely homely room: sleek but cosy – which is exactly what Christine and Malcolm wanted."